Harry Potter just delivered some hard truths on the BBC this morning. 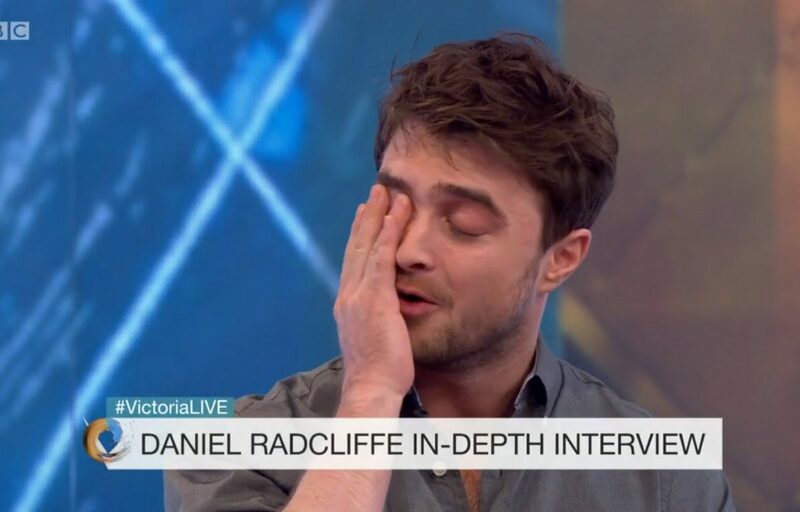 In an interview on Victoria Derbyshire, Daniel Radcliffe got seriously candid about the problems plaguing our modern world; from racism in Hollywood to accusations of antisemitism in the Labour party, by way of Donald Trump. Radcliffe’s biggest bombshell targeted Hollywood’s deep-rooted and institutionalised racism; a problem that has been documented extensively in the past few years. I mean, yes. I think it’s pretty undeniable. We like to think of ourselves as being a very, very progressive industry but we have been lagging behind in all kinds of areas. Amid the interrogation the actor was given by Victoria Derbyshire, it’s great to see a Hollywood star speak openly about his own industry. Daniel should be applauded for his honesty. Radcliffe’s new film, Imperium – which looks to be a pretty fascinating examination of white supremacism in America – sparked a debate about terrorism in the twenty-first century. Radcliffe praised New Yorkers for their ‘blitz attitude’ and ‘resilience’ after the Chelsea bombing this week. Every time there’s an attack at the moment it serves to galvanise fears and hatred that is already being stirred up in America by Donald Trump. That’s what makes this film sadly relevant right now. Radcliffe also said claims that antisemitism has infiltrated the Labour party are ‘shocking’. If these sentiments weren’t enough to warm your heart, perhaps the most touching thing about the interview was to see an eloquent actor become tongue-tied by semantics under the pressure of Derbyshire’s questioning – just like the rest of us awkward bastards do whenever a serious debate arises in the pub. In Harry Potter news, Radcliffe refused to commit himself to any more films, and jokingly admitted he was a terrible child actor. Although the Victoria Derbyshire producers were almost certainly ringing their hands with glee as Radcliffe gave them mic drop after mic drop, with a sprinkling of viral video, it’s clear that Radcliffe was answering the questions as he honestly saw fit. This is an actor who shot to fame as a 11-year-old and – from what we have seen of him in the subsequent decade or so – has chosen to ignore his press relations training. Ironically, most of the press has chosen to ignore most of the interesting points he raises about world politics and pop culture. Daniel Radcliffe says in an interview that Hollywood is ‘undeniably racist’. Media tho leads with: Radcliffe won’t play Potter again. 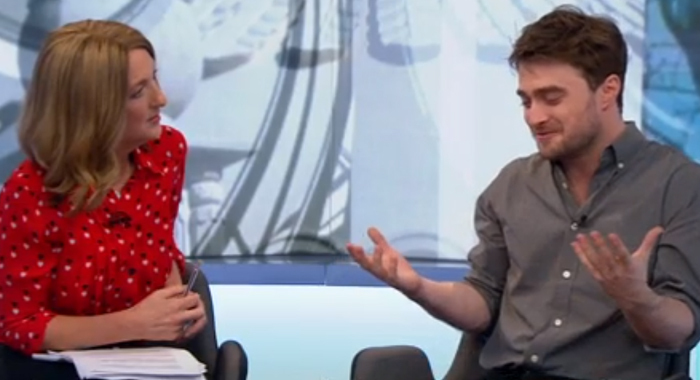 Thanks for putting the world to rights, Radcliffe. Now if you could wave your magic wand and fix the problems that’d be great too.